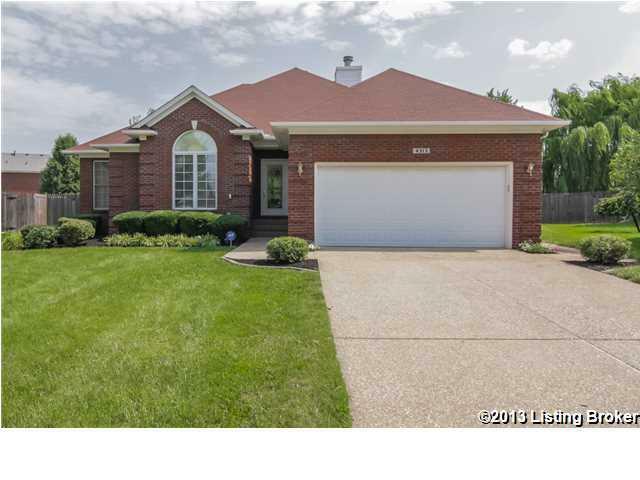 4313 Meadowbend Way Louisville, KY 40218 | Home for Sale | MLS #1365444 | Joe Hayden Real Estate Team - Your Real Estate Experts! Location, Location, Location! This beautiful and inviting 3 bedroom home at 4313 Meadowbend Way sits on a quiet cul-de-sac in the heart of the convenient Stonewood Meadows subdivision. Situated on a premium lot, this brick home promotes an easy-living lifestyle from the moment you step inside. Greeted by the warm hardwood flooring and crown molding encasing the doors and windows, you will know that this is your home. Further inside the home you enter the living room, which features a vaulted ceiling, a wood burning fireplace and plenty of natural light. 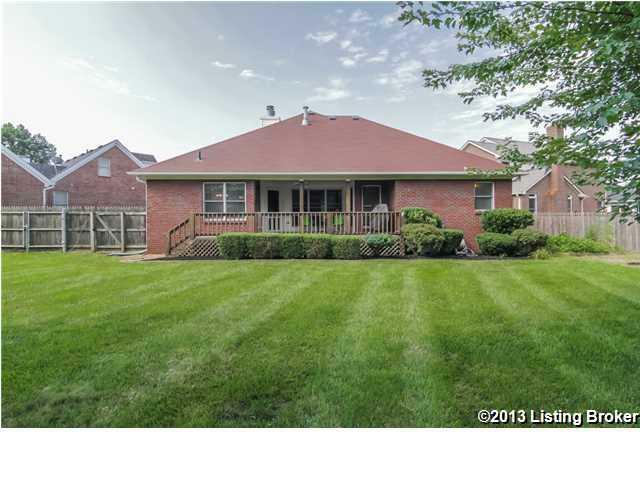 This room boasts 3 large windows to give you a nice view of the tree-lined, fully-fenced, private back yard and deck area. The hardwood flooring continues through to the breakfast room, kitchen, and then on to the formal dining room. 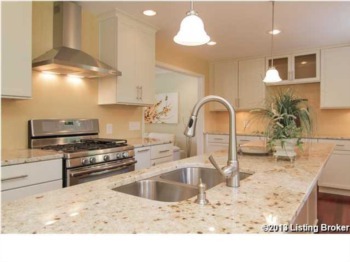 The kitchen features clean white cabinets as well as a stone tile backsplash. The spacious master bedroom features an angled trey ceiling and corner windows. Just beyond the master bedroom is the huge master bath with dual vanities, ceramic tile flooring and a separate shower, plus you can let the world slip by as you relax in the large jetted tub. Be sure to check out the his and her walk-in closets! 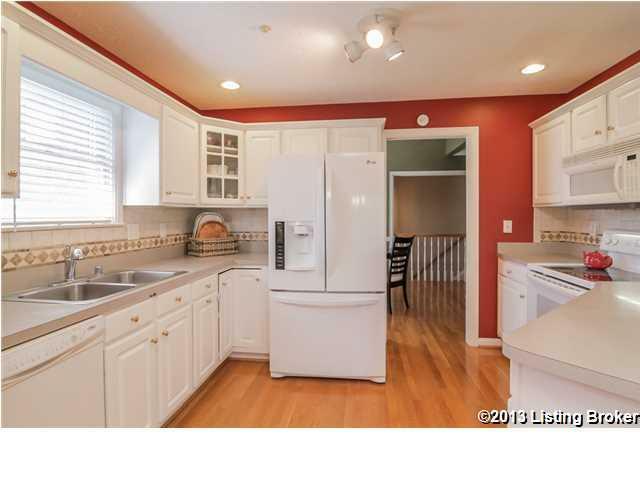 Two additional bedrooms, plus a full bathroom with ceramic tile flooring, are on the main level. Both bedrooms feature nice-sized closets and large windows. The main floor offers so much, but wait until you head downstairs. 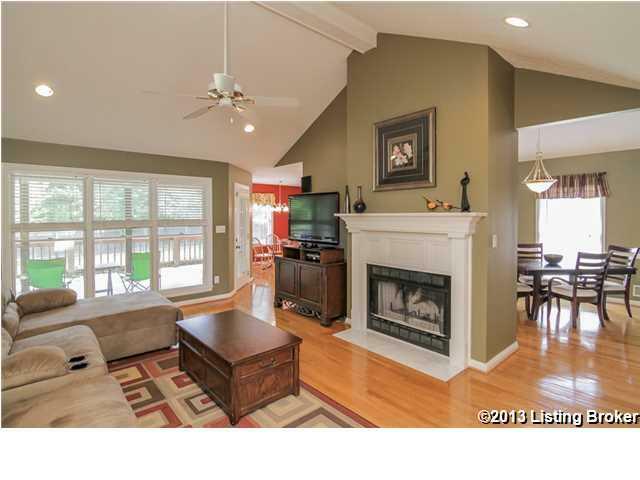 The lower level space is the ultimate in comfort and entertaining. One of the first things you will notice is a see-through, double-sided gas fireplace separating the two large living areas. Note that this level is trimmed out and finished as nicely as the main floor with 8' ceilings, a full spacious bath and a kitchenette with a sink, fridge (which remains with the home) and microwave. 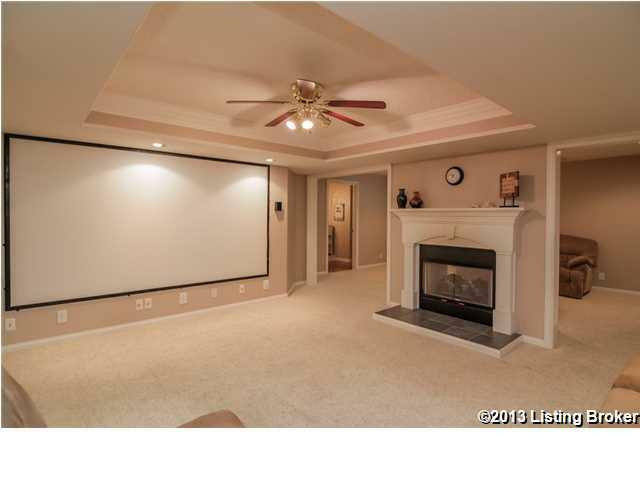 Oh, did we mention the 129" screen and projector that remains with the home for the ultimate movie night or sports experience? 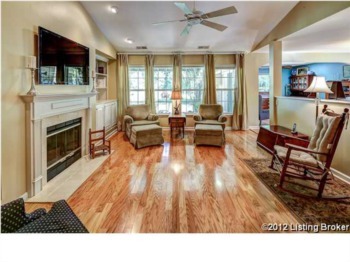 This area is great for entertaining guests or just relaxing with the family. There are two large storage areas on either side of the finished area where all your holiday items are neatly tucked away until you need them. The spacious laundry area is on this level as well - just put in a good movie to view on the big screen and laundry day takes on a whole new meaning! Step outside to the covered back deck, where you can grill out regardless of the weather, or just sit back and relax with a cold drink as you overlook the private back yard. The 2-car garage has a separate entry point to the exterior of the home as well as into the home. 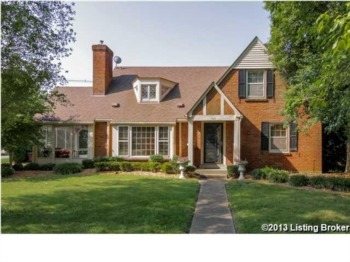 Don't miss the opportunity to make 4313 Meadowbend Way your next home. Call today for your personal showing!